No contest this week. The winner of Doofus of the week was streets ahead of the competition. And he is the first person to win two doofus awards. Maybe this makes him a doofii. No surprises it is David Seymour, champion of the libertarian right, hater of those who do not make their way through life without relying on their innate skills, and someone who receives a lifeline from National each election so that the will of the people can be tilted right. He won the award by joining the Meat Club at Auckland University during Orientation Week and putting this out on social media. 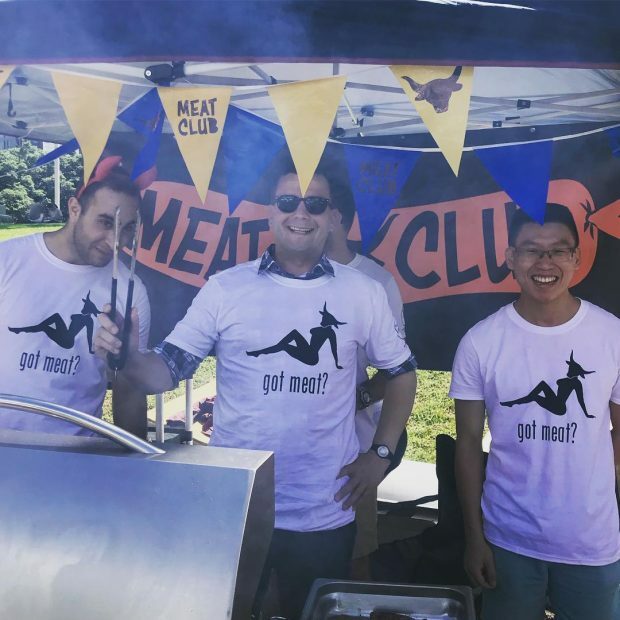 Meat Club is one of those University clubs that some people think are funny. It promotes the eating of red meat (up yours vegans) because it can but then digs deep into misogyny with crass t-shirts. Har har har. Geddit? Eating read meat as well as destroying the environment makes you more attractive to hot babes. There is a sector of the electorate that will be attracted to this particular ploy. Males who have not yet attained the maturity of an average 16 year old, some engineering students and the occasional adult who will never grow up. Think Beavis and Butthead with less maturity. Golriz Ghakraman got stuck into him. As well as a few others. I have managed to go to many BBQ's in my life and not once have I thought..wait a second I need to put my offensive meat t-shirt on. And Golriz’s tweet provided examples of the intellectual rigour of the right. Why do the extreme left think they can set the rules for society? Ridiculous. Note complaining that an idea is stupid or offensive is not an attack on the freedom to express that idea. It is actually an exercise of the right of freedom of speech to suggest that the idea is particularly stupid and should be branded as such. But Seymour was on a role and decided to then go for the Afrikaner vote. He put up a resolution to Parliament condemning the South African Government’s proposal to change the constitution to allow for the confiscation of farms without compensation. Labour and New Zealand First objected so the resolution went nowhere. Good on them. There are severe historic injustices in South Africa that have to be addressed and guarantees of compensation are not appropriate. But then Seymour chose to exercise his prerogative to veto a Parliamentary resolution to congratulate Winter Olympic medallists Zoi Sadowski-Synnott and Nico Porteous for their outstanding achievements in winning Winter Olympic medals. On Tuesday, neither of the Winter Olympic medallists Zoi Sadowski-Synnott and Nico Porteous recognised Mr Seymour when he asked them a question on Three’s The Project. Whatever the motivation was his actions were petty. Imagine vetoing the extraordinary achievements of a couple of Kiwi teenagers. Young people who clearly have more maturity than the current Member of Parliament for Epsom. He is desperate to be relevant. Sad boy/man. It’s great that we live in a country where people are free to express their opinion that David Seymour is a fool. Yes just imagine if we lived in an absolute monarchy and he was the emperor. The stuff of nightmares. “Note complaining that an idea is stupid or offensive is not an attack on the freedom to express that idea.” – But saying that something isn’t ok is. You mean we should never say something is not acceptable because to do so is taking away someone’s freedom of speech? Really? It’s either freedom of expression, in which case acceptable however distasteful, or there’s a strong enough reason against to make it criminal. Either way “not ok” isn’t an argument against or even merely expression of distaste, it’s the idea that some thing should not be tolerated. Intolerance of anything without sufficient reasons to criminalise is bigotry. Of course “not ok” can be, and usually is, just an expression of distaste. Over-reach Anon. “They’re coming to take away your guns!” – silly stuff. Wow – I do admire Stephanie Rodger’s linguistic economy and precision! Yes, Stephanie’s contributions are always worth reading and reflecting on. 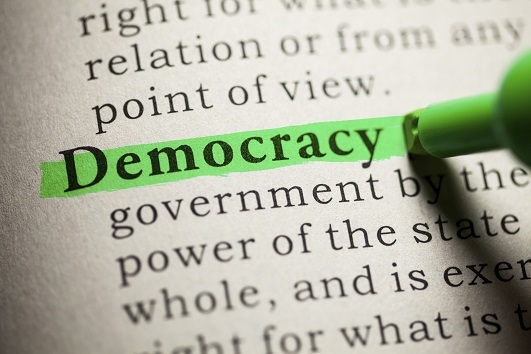 In a similar vein, I have always been struck by the right wing ‘individualism’ thesis being touted as the solution to policy problems in a representative democracy where we elect people to represent our collective interests and concerns. +1000 that’s hipocyce Nordy neoliberals want to impose a view that individualisem is the best system and the government organisations are communistic. In my view the neoliberals are tricking the people into believing that individualisem is the best system no its not. Individualisem is the best system that neoliberals can impose on us it’s a system that is best to fool and rule the common he tangata the people 99.9 % that’s reality. amazing how a ruggid indavidyouall like seenothing can make a career sucking off the taxpayer. From what I can make, all of the ‘ruggid indavidyoualls’ need heavy government subsidies to get by. I believe he is very good at milking cows as well as eating meat and knawing on the bone. Can’t believe to see you say that. Firstly, I agree that there are severe historic injustices. However, the appropriate way to solve these is not through current injustices. Secondly, it is obvious what happened in Zimbabwe when similar policies were followed. Thirdly, a major complicating factor is that South African farms are carrying a lot of debt. So, if banks lose their money in the repatriation, then there will likely be major capital flight from South Africa which won’t be a good scenario for any South Africans. Did you have a point in all that? Is there something you disagree with what I said or do you prefer to write mindless drivel? And as for you , BM ( BM without the ‘W’… ) … still smarting from that smack across the wrists you got a few weeks back? Truly , – you display all the vindictive bitterness and oversensitive responses as the rest of the National party clods do with your sour grapes at their loss. Smack across the wrists? what’s this you ramble on about old fella? ‘Old fella’… we’re into ageism , now are we? – Or assumptions. In which case it happens to be both , snowflake. And I think you know very well what I’m talking about the last time we crossed swords here. Anyhow ,… for the sake of not derailing this thread and detracting from the sheer idiocy of the far right wing in NZ , – and in particular the ludicrous persona of one David Seymour , – this will be the end of this conversation. Are you so egotistical that you think I even bothered to read what you typed or do you show a total lack of perceptive humour? I read the main article and flicked through one or two other opinions. Yours I didnt bother with. Not everyone’s out to get you , bro , and if you cant see the obvious implications that it was about ‘Sey what- ever- his – name is’ like everybody else can ,- then your dumber than you sound. Grow up and get a sense of humour. I normally can’t be bothered wasting time on Seymour, but he really is a disgrace to parliament and NZ. He’s a caricature of a person and sadly a 21st century trend in politics when narcism, greed and stupidity somehow are maneuvered into power by others to serve as window dressing and a distraction while the strategically greedy hoover on and steal up resources, legally. He has the right to express himself on a t-shirt or anything else in NZ. The sad thing is, that when he says there is an equal male t-shirt to match, I assume it carries a bull head and like anything to do with male and female, the bull head is full of machismo and bravado, whereas we already know the history of the female form and its historic exploitation in so many ugly ways. There will never BE equality of free expression between men and women when it comes to the physical form.